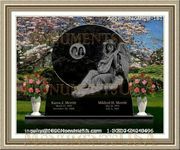 It is not uncommon for families to leave certain decorations on or near the graves of their loved ones. Flowers, candles, and statues can be found in many cemeteries, especially during times of the year when people honor the dead. However, these mementos are removed when landscapers must mow the lawn or take care of the grounds. These workers often do not think to replace the items that they have taken from burial sites. When you would rather leave something more permanent, you might consider using cemetery lights as grave decorations. A light could be placed alongside a grave marker or headstone. This illumination may absorb light from the sun and shine at nighttime without the assistance of bulbs or batteries. This fact may allow you to leave it out there without having to come back to replace its source of energy. You also might choose from different colors for these decorations. Some choices are plain white, while others are blue, green, red, and other colors. These colors could show up better at night and give the grave a unique look. Some choices are also available in various shapes and dimensions. Religious people may be drawn to the models that look like the Virgin Mary or of angels. Other people may like the models that look like flowers or pinwheels. When it comes to putting these markers near the burial site, you might notice that each one has a pointed end to help it go into the ground. This pointed end allows you to insert it into the dirt and leave it securely in its place. This feature also may help the memento avoid being blown over when it is windy or stormy. 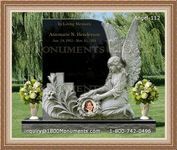 Rather than leave flowers or statues on a grave site that may get removed by landscapers, you might want a token that is more permanent. Lights designed for cemetery use could be a choice for you. You might consider different shapes, models, and colors.